Overview: Detroit is a franchise that is struggling financially in the economic downturn of the country. This caused them to make many moves during the offseason that are more financially sound, meaning many young players. Last season, the Tigers had a mini-collapse at the end of last season and lost to the Twins in a one game playoff to be booted from the playoffs. Offseason Moves: In one of the bigger deals of the offseason, the Tigers traded P Edwin Jackson and OF Curtis Granderson away in a three-team deal. 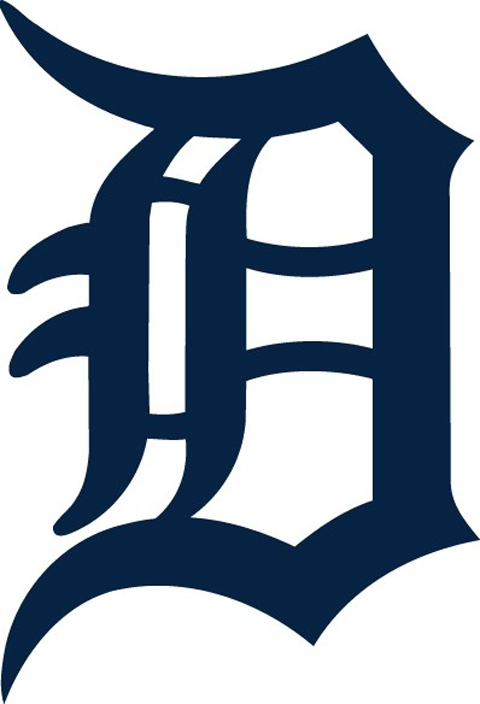 In return, Detroit received Ps Phil Coke, Daniel Schlereth, Max Scherzer, and OF Austin Jackson. The Tigers also lost P Fernando Rodney to free agency, and replaced him with closer Jose Valverde. On the offensive side, Detroit’s only free agent acquisition was OF Johnny Damon. Player to watch: CF Austin Jackson has been a top prospect in the Yankees’ organization for many years now. Finally traded as many of the Bombers’ prospects are, Jackson is getting a shot at batting leadoff in a Tigers’ uniform. Jackson is a five-tool player, and many are picking him to be the rookie of the year. With veteran OF Johnny Damon on the team to help tutor Jackson, this could be a big year for the rookie. The Tigers have some depth in the pitching staff, headed by ace Justin Verlander. Their offense will be suspect at times, but I expect Detroit to break through this season, and take the AL Central crown. 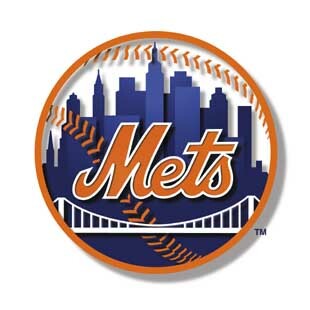 Overview: The New York Mets are a franchise in turmoil. After many of their players were ravished by injuries last season, the Mets are looking to rebound. However, the team finds itself decimated of prospects, still struggling with injuries, and filled with veterans that are creeping past their prime. Offseason Moves: As expected, the Mets made a splash on offense, bringing in OF Jason Bay. However, after spending most of their money on Bay, New York only made the minor moves of bringing in C Rod Barajas, OF Gary Matthews Jr., and Ps Kelvim Escobar and Ryota Igarashi. Player to watch: 3B David Wright has to have a rebound year offensively if the Mets have any shot this season. Putting up another 10 HR campaign cannot be done, as New York is already a lineup devoid of power due to both injury and talent. The Mets are a team that is already decimated in injury. They simply have zero power, and zero pitching. Even the Nationals will be a better club than the Mets this season. New York is one of two teams that will be experiencing a blow up after the season, meaning that the GM will be fired, and many of the players will be let go as the Mets will have to go back to the drawing board. Overview: The White Sox were an under-achieving team last season. They had a load of power, and depth in their pitching staff. Yet, injuries were abundant on the south side of Chicago, and the Sox dwindled down the stretch. Offseason Moves: The White Sox added an abundance of players during the offseason. To address the problems in the bullpen, the Sox brought in Ps Tony Pena and J.J. Putz. To improve on offense, Chicago brought in speedy OF Juan Pierre, OF Andruw Jones, and IF/OF Mark Teahen. IFs Omar Vizquel, Jayson Nix, and Mark Kotsay were brought in primarily for defensive purposes. Player to watch: The key to the Sox’s success lies in the right arm of P Jake Peavy. Injured for most of last season, Peavy didn’t make much of an impact after being traded from San Diego. However, Peavy is a former ace, and was often in the NL Cy Young Award talks. A switch to the American League should inflate his numbers a bit, although, he still has the tools to be a good pitcher. If Peavy performs like he is capable of doing, the White Sox have a real shot at taking the AL Central. I think that the White Sox are going to be one of this year’s surprise teams, and a team that many will cheer for. They are a group of veterans that no one is really expecting much out of. However, they play in a weak division, and may have just the right mix of players to succeed. I’m thinking with my head picking them to only finish 2nd in the division because too many things need to happen in Chicago’s favor for them to make the playoffs. Overview: The Jays are a mess of a team. 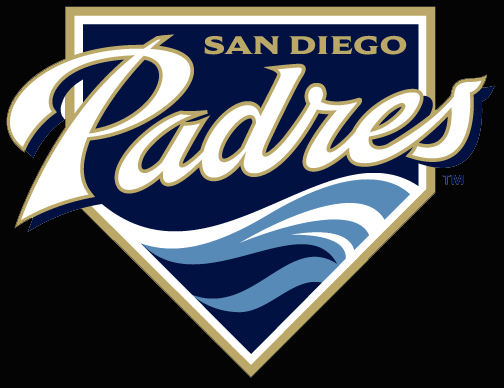 They traded away the best pitcher in baseball, P Roy Halladay, gave up on OF Alex Rios, and are stuck with the burden of contracts belonging to OF Vernon Wells and 1B Lyle Overbay. After making several moves during the offseason, it is clear that Toronto is in a rebuilding stage, and going with the youth movement. Offseason Moves: The Jays brought in a lot of young arms this offseason. Top pitching prospect Kyle Drabek leads the group, that also consists of P Brandon Morrow, P Dana Eveland, and P Merkin Valdez. To bolster the bullpen, Toronto brought in closer Kevin Gregg. However, the biggest acquisitions may have come from within for Toronto, for pitchers Shawn Marcum, Dustin McGowan, and Jeremy Accardo are returning from injuries in 2010. On offense, Toronto made nearly no moves, only bringing in light-hitting SS Alex Gonzalez, and top prospect IF Brett Wallace. Player to watch: Top prospect Brett Wallace has been traded twice within the past year. He also has been moved all around the infield, from third base to first base, and also spending time at DH. Toronto has decided that Wallace will be its first baseman of the future, however his road is currently blocked by 1B Lyle Overbay. Don’t expect that for too long, as the Jays will attempt to trade most of their veterans to give the young guys a shot. Of course, Wallace’s massive power and ability to hit for a high average will help move the process along. The Jays have 2B Aaron Hill and DH Adam Lind to build around on offense. However, there isn’t much offense after that. Excluding those two players, the Jays batting average of last season was .251, which is nowhere near the average needed to compete with the pitching in the AL East. Yes, the Jays will be the worst team in baseball this season. However, if it weren’t for the division they play in, Cleveland would be the worst team. Toronto has talent coming up. Ps Kyle Drabek and Brett Cecil will be front-line starters in the future. First basemen David Cooper, Brian Dopriak, and Brett Wallace lead the way on offense. It will just take some time to develop the talent, and it’s not easy to do in the American League. Overview: Kansas City finished another dismal season going 64-92, with no true light at the end of the tunnel in sight. However, the team had some bright spots, such as Cy Young Award winner P Zach Greinke and over-achieving IF Alberto Callaspo. Besides that, the Royals are in the process of still working young talent into the big leagues. Offseason Moves: The Royals made very few moves during the offseason, and almost all of them seemed to be minor. Kansas City traded OF Mark Teahen for IFs Chris Getz and Josh Fields. This trade prompted the signings of OFs Rick Ankiel and Scott Podsednik. The Royals also added C Jason Kendall, as a veteran presence on the team. Player to watch: The Royals’ season depends on the bat of DH Jose Guillen. It is assumed that OF Rick Ankiel will recover from the shoulder injury that plagued him much of last season, and will return to form. However, without Guillen, the Royals’ lineup is a little lacking. If he can provide a .280 batting average with 15 HR, and about 80 RBI, Kansas City may have a chance to compete in the dismal AL Central. Yes, the AL Central is a terrible division. However, the Twins are always competing for the division. The White Sox have too much pitching depth to not be able to at least compete. Detroit is a wild card, for it depends on how well many of their young players perform, however, I think they will do well. Kansas City can beat out the terrible Indians. If the Royals’ rotation received the addition of a #2 starter, the team could be a contender for the AL Central. As of now, their pitching will just get eaten alive. Overview: Although Baltimore finished in the cellar of the AL East again, they have made many strides to improve. Namely, much of their young talent is beginning to arrive, which gives O’s fans renewed hope for the playoffs in a treacherous division. Offseason Moves: The Orioles made some key acquisitions this offseason, mostly adding veterans to mentor their young players, and provide a good mix of talent. Baltimore improved their bullpen by signing closer Mike Gonzalez to a three-year deal, while also acquiring reliever Cla Meredith. The O’s also added an ace to head their young rotation by trading for P Kevin Millwood. On offense, the Orioles brought in 3B Garrett Atkins for a stabilizing right-handed power bat in the middle of the lineup. Baltimore also brought back SS Miguel Tejada, who had played for the Orioles only two years before. These moves have made the team significantly better than it was last season. Player to watch: If the young players already on the roster continue to progress, the Orioles could make a real run this season. However, I believe the key to this team will be the production of 1B Garrett Atkins. After a mediocre ’09 campaign, Baltimore gave Atkins a chance to return to form, where he averaged 25 HR and 100 RBI for three consecutive years in Colorado. If Atkins can drive in 100 runs, look for the Orioles to hang around in the divisional race deep into the summer. I truly believe that the Orioles could win the AL Central, or get a wild card spot if they were in the NL or the AL Central. Unfortunately, they’re not. They are in the AL East, which is currently the best division in baseball. The Orioles are making strides, and some of their young pitchers, such as P David Hernandez, are on the way to the majors. A couple of key additions to improve the bullpen, and progression of their top prospect starters, would land Baltimore in first place of the division in the coming years. 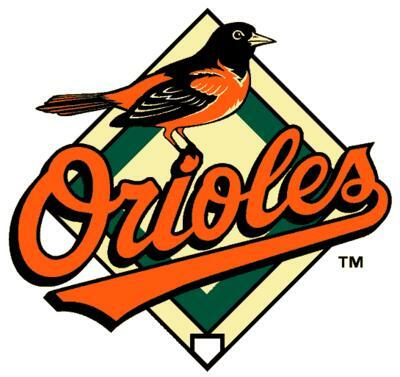 Frankly, I believe that as soon as next season, the Orioles can win the AL East. However, this will be a season of learning, as the team should compete for much of the year.